In above approach, I was able to navigate to views. However after navigating views were not adhering to the layout set for the application because I was creating new instance of the Application. So certainly this approach was not a suitable solution to go ahead with. To solve this, you need to navigate on instance which you already created while initializing the html for mobile application. You create something like this on HTML. 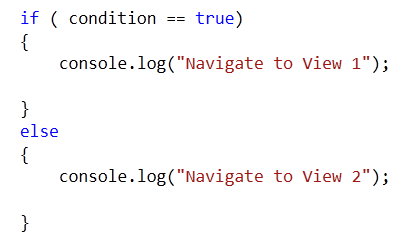 To navigate conditionally just call navigate function on app. essentially you do not need to recreate instance of application. So if we modify above solution, you do not need first line of the code. 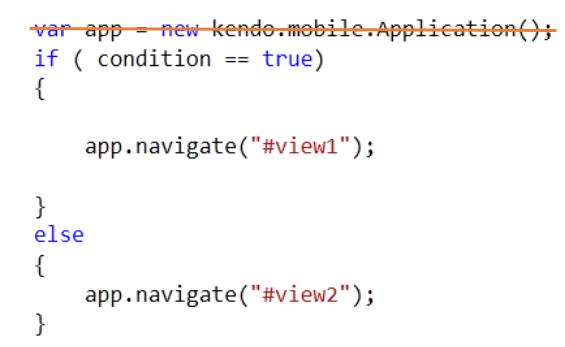 Point to be noted here is that app is the variable name we are using while initializing the application on the html. 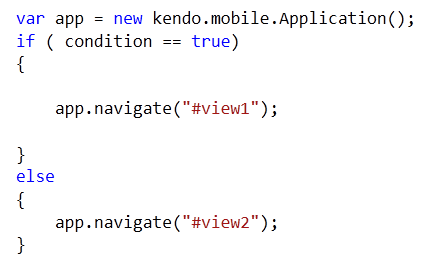 In this way you can navigate to different views from JavScript in KendoUI Mobile. I hope you find this post useful. Thanks for reading.